Manchester United are now in Barcelona. The Red Devils have landed in the Catalan city with one objective: to beat Barça in the Champions League. Ole Gunnar Solskjaer has revealed his squad list for the quarterfinal second leg at Camp Nou. 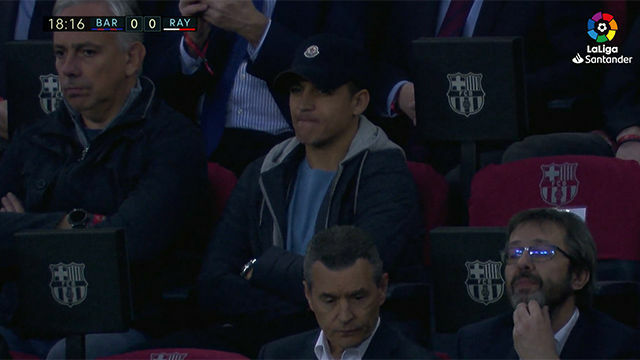 Former Barça forward Alexis Sanchez is back in the squad having missed the first leg injured. The Chilean could be the key for Solskjaer. He knows Barça well. Another player who could be important for United is Juan Mata, who's been linked with a move to Barça in the summer. Camp Nou will host Tuesday's big game as United try to come from behind. They lost the first leg 1-0 at home but came from behind to beat Paris Saint-Germain in the last round so will take hope from that. Defenders: Diogo Dalot, Matteo Darmian, Ashley Young, Phil Jones, Victor Lindelof, Marcos Rojo, Chris Smalling. Midfielders: Fred, Nemanja Matic, Scott McTominay, Paul Pogba, Jesse Lingard, Juan Mata. Forwards: Anthony Martial, Alexis Sánchez, Romelu Lukaku, Marcus Rashford.